The instantly recognisable voice on some of pop’s best-selling singles ever, Bonnie Tyler is a Grammy nominated singer from Wales. After the release of the 1977 LP The World Starts Tonight, Bonnie was propelled into popular prominence. Her most beloved singles from this album include ‘Lost in France’ and ‘More Than a Lover’. Citing musical influences from legendary female vocalists like Janis Joplin and Tina Turner, Bonnie’s sound on the first album was a beautiful fusion of folk, country and pop. By the 1980s, Tyler’s sound became more influenced by rock and blues music, when she started to collaborate with songwriter and producer Jim Steinman. Ultimately, Steinman composed Tyler’s most commercially successful hit, ‘Total Eclipse of the Heart’. This is a melody which even the most sheltered ear will recognise. Testament to the song’s seamless composition and versatility, it today remains a highly covered and reproduced ballad, garnering almost 393 million hits on YouTube alone. Thanks to the likability of this single, her 1983 album Faster Than the Speed of Night topped UK music charts. Steinman is also responsible of another of Tyler’s huge songs, ‘Holding Out for a Hero’. Yet another must-have track for any self-respecting karaoke playlist, it is a song recognised by most music fans across the globe. 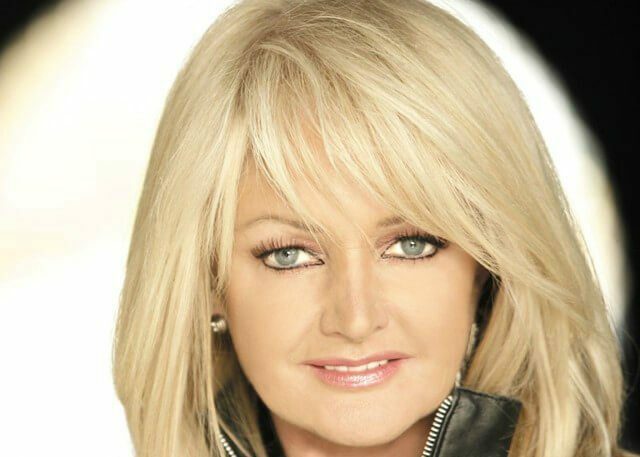 Boasting performances from every corner of the planet, Bonnie Tyler has gigged at 2013’s Eurovision Song Contest in the UK, the Colosseum Theater in Germany, Hamer Hall in Australia and Whitianga Waterways in New Zealand.